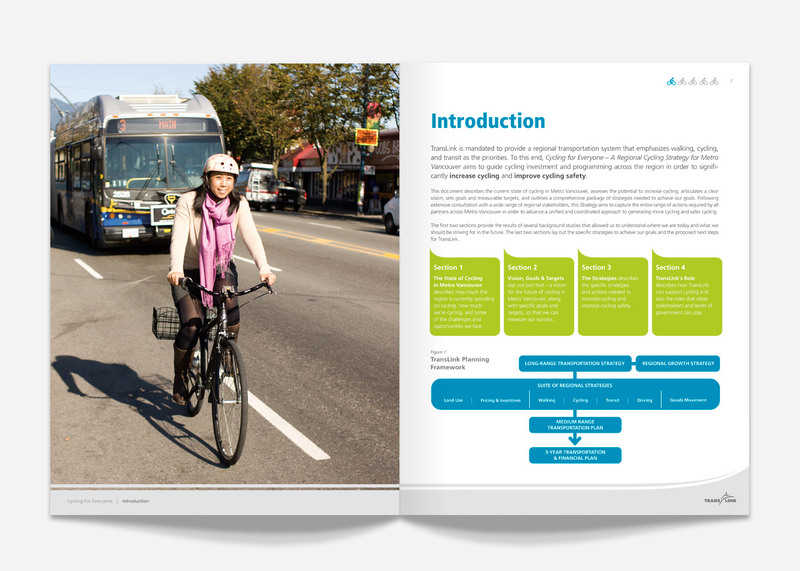 A 48-page document designed to deliver Metro Vancouver’s Regional Cycling Strategy to the general public. 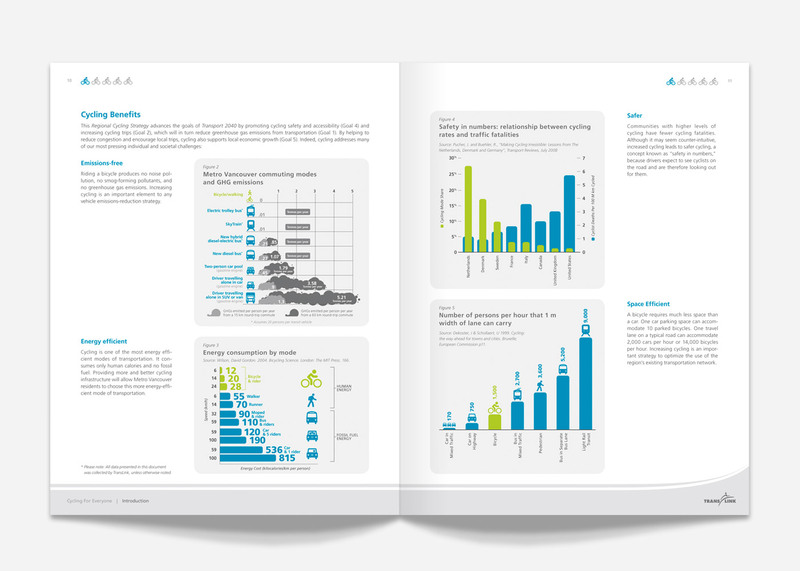 Dozens of charts and graphs were redrawn to convey information in a more concise and clear manner, while also retaining important levels of detail. Agency: Invision Creative Studio Inc.